Includes mother and child symbols from several popular designers! Looking for just the right gift for your mother? We offer a beautiful collection of specialty mothers pendants for BOTH mother's with new babies and mothers with adult children. This section has many of our most popular mother and child designs from several manufacturers on one page for easy comparison. Decide which design best expresses and celebrates the joys of motherhood and that timeless expression of love. Click here to view the collection. They're BACK and we've got them! 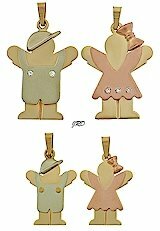 Announcing the arrival of the newest pendants and charms for mothers- Moppets! Sweet little boys and girls crafted in a special sterling silver called Argentium that resists tarnishing or in 14k yellow gold. Fun designs that share the joy of childhood. Moppets can be worn as a pendant on a chain or on a charm bracelet. Click on one of the links below to view these wonderful designs! Pins or Pendants & More! Each of these pretty 14k gold items are available as a brooch or pendant. The unique key is offered with 10 simulated stones and the tree is available with 1-9 stones. 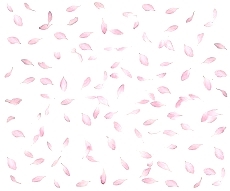 The window box design has 12 little flowers that can be set with either genuine or simulated stones. Also, With Me Always® Angel Hearts® pendants and heavier chain slides! Sweet Peas have just been added. Click here view these items. Over 400 sizes/styles to choose from! 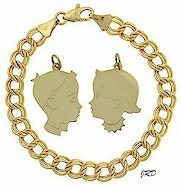 Adorable boy and girl pendants in 14k gold. High polish and satin finish charms that are engravable. A mother's pendant with clean lines but lots of personality! Click here to view selection. Boys and girls head charms... many of our mothers had these little girl and boy head charms on their bracelets and they are still treasured designs today. As each new family member arrives, a new charm can be added. Boys and girls are offered in classic high polish or stamped detail styles. Optional engraving is offered so mother's charms can be personalized with her children's first names and birthdates. 14k gold collection of head charms. Sterling silver collection of head charms.